His father Franklin Loufrani, a journalist with French daily France Soir, created the Smiley logo in 1971 with the intention of spreading positive thinking and happiness. Though he did license the logo to a few brands, making money was never a major priority for him. 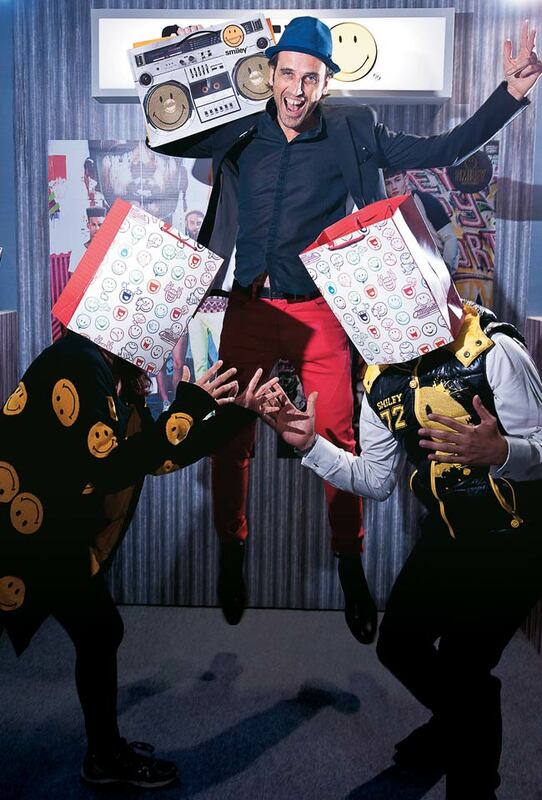 But ever since Nicolas Loufrani took over the $167 million Smiley Company in 1996, his vision clearly has been to grow the franchise globally. Not only did he get more aggressive at licensing, he also launched a host of Smiley merchandise, which was sold through various lifestyle stores. The Smiley products range from apparel, footwear and jewellery to cookies and chocolates. The junior Loufrani, who was in Mumbai recently to scout for Indian partners, has also developed various emotional representations of the Smiley logo, which he licenses to various brands. "We have 20 categories of the Smiley logo," he said. This was his first visit to India, which has half-a-million out of Smiley's 4.5 million Facebook followers. "India has always been on the top of my mind and I am finally here," he added. When Daniel Yergin speaks, people in the energy sector listen. The Pulitzer Prize-winning American author is an authority on energy security. He was in Delhi recently where Prime Minister Manmohan Singh conferred a lifetime achievement award on him at the PetroTECH energy conference organised with the backing of the Petroleum Ministry. 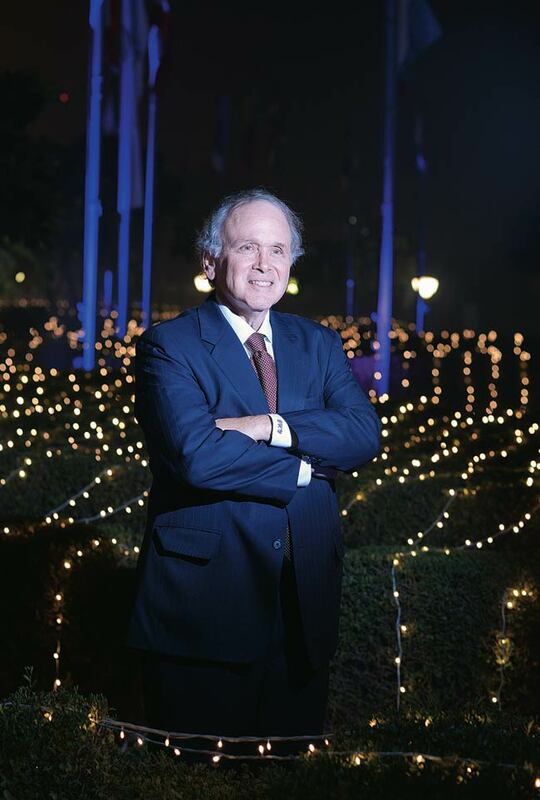 Yergin believes that it is not sustainable for an economy like India's to continue importing 78 per cent of its oil needs. "Too much dependence on fuel imports makes economies venerable," he said. India had done well to link its gas prices to international market prices, he added, but ideally the market, and not the government, should determine commodity prices. "India has already corrected its gas prices, but it has to reform other areas to attract more foreign investment," said Yergin, also the Vice Chairman at IHS, a global consultancy dealing with energy and allied sector. Having spent close to two decades with the Reliance Group, Jayarama P. Chalasani has now moved on to Gurgaon-based infrastructure giant Punj Lloyd as its Group CEO. He will be responsible for the group's entire value chain - from the engineering, procurement and construction (EPC) business to infrastructure to equipment manufacturing. Punj Llyod generates 80 per cent of its revenues from 22 countries across the Asia-Pacific, West Asia and Europe. Having joined Reliance from NTPC Ltd, Chalasani was a vital part of Reliance Energy (now Reliance Infrastructure) and later Reliance Power. 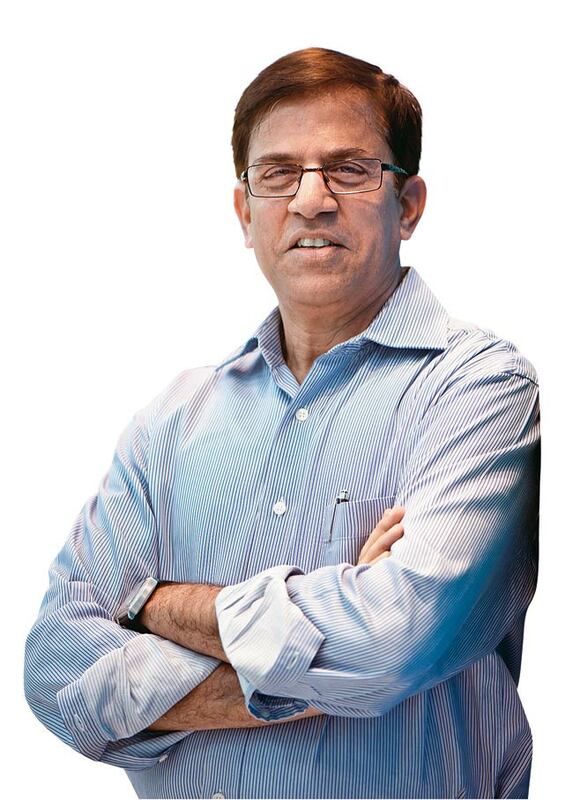 A native of Vijayawada in Andhra Pradesh, the soft-spoken Chalasani is widely considered a shrewd executive, who played a vital role in Reliance Power's bids for three ultra mega power plants. 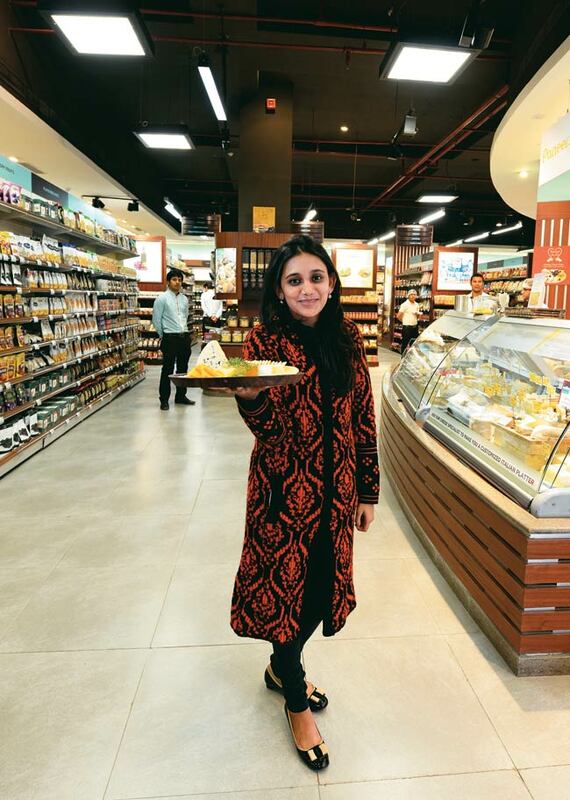 She offers over 7,000 items, or stock keeping units, at her fifth gourmet store outlet called Foodhall. While ushering in guests at the store - located in Gurgaon - recently, Avni Biyani, 24, pointed out the new flavours she had curated through her spices with the help of Julian Amery, the Denmark-based spice specialist. The store, a result of Biyani's own interest in cooking, has a Chado tea bar, a sushi counter, a fresh bakery counter and a juice bar. It also stocks imported brands and ingredients. "We are even open for people who want eat a small meal here and discuss recipes with our chefs and specialists," says the daughter of Future Group's Kishore Biyani. Ross Clifford is a motorcycle aficionado. So much that this Director of Motorcycles at US-based Polaris Industries has changed 50 bikes in 33 years. 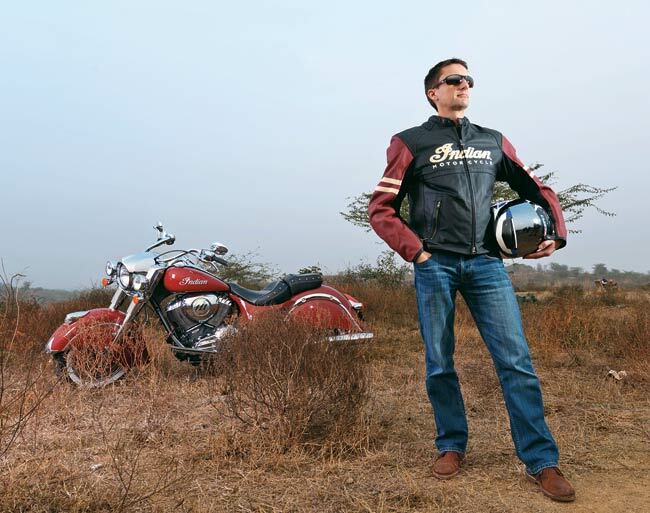 Clifford was in India recently to launch the iconic 113-year-old Indian Motorcycle brand in the country. Indian Motorcycle, which got its first name from native (or red) Indians, sparks nostalgia with its cruiser design and the rumbling thud of the 1,811cc engine. Clifford launched three models - Indian Chief Classic (Rs 26.5 lakh), Chief Vintage (Rs 29.5 lakh) and Chieftain (Rs 33 lakh) - and expects to sell about 30 of them by year-end. Polaris also wants to achieve a market share of around 10 per cent in the luxury motorcycle (1,600cc and above) market in India. Its population of seven million is a tad below that of Bangalore's, but Hong Kong's per capita income is one of the highest globally. A haven for entrepreneurs, it is a place where it just takes about an hour to register a business. 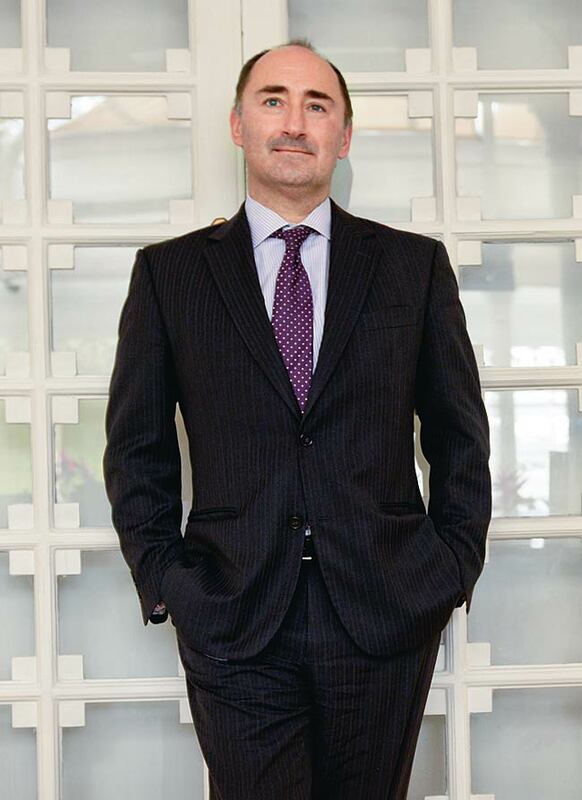 So, when Simon Galpin, Director-General of Investment Promotion at Invest Hong Kong (InvestHK), visited India in January, his goal was to connect start-up hubs between the two. Hong Kong is also a hot base for start-ups. "In the last three years, we have seen the number of start-ups that our department supports, grow by 60 per cent. The number of entrepreneurs applying for visas to start their own businesses has grown by 59 per cent. The single largest group seeking those visas is Indian," said Galpin. And despite attracting the third-highest FDI after the US and China, Hong Kong is hungry for more because, as Galpin says: "We need to stay competitive." Tags: The Smiley Company | Nicolas Loufrani | Daniel Yergin | Punj Lloyd | JP Chalasani | Foodhall | Avni Biyani | Polaris | Ross Clifford | InvestHK | Simon Galpin.